APhA’s Pharmacy-Based Immunization Delivery certificate training program is an innovative, intensive, and practice-based continuing pharmacy education, based on national educational standards for immunization training from the Centers for Disease Control and Prevention. This program is designed to educate pharmacists about the professional opportunities for vaccine advocacy and administration. This practice-based curriculum represents a fusion of science and clinical pharmacy. The program, which emphasizes a health care team approach, seeks to foster the implementation of interventions that will promote disease prevention and public health. Read an immunization schedule and identify appropriate vaccines for individuals across the life span and with special needs. Access regularly updated information about vaccines and their use.Effectively communicate with patients and other stakeholders about resources. Describe strategies for increasing immunization rates, including physician collaborations, community level activities, and immunization coalition activities. Review adult patient cases and patient-specific recommendations based on the appropriate immunization schedule. Review a pediatric patient case and make patient-specific recommendations based on the appropriate immunization schedule. Demonstrate effective strategies for communicating with patients who have concerns about vaccines. Describe current evidence that explores the relationship between autism and vaccines. Describe a process for administering vaccines in a community pharmacy. Recognize the signs and symptoms of adverse reactions that can occur after vaccination. Describe procedures for management of patients with adverse reactions to vaccination that constitute an emergency. List the steps for intranasal administration of the live attenuated influenza vaccine. Demonstrate appropriate intramuscular and subcutaneous injection techniques for adult immunization. For a complete list of learning objectives and for all APhA accreditation information and policies, please visit APhA’s website, http://www.pharmacist.com/pharmacy-based-immunization-delivery . The American Pharmacists Association is accredited by the Accreditation Council for Pharmacy Education as a provider of continuing pharmacy education. The home-study portion of the Pharmacy-Based Immunization Delivery certificate training program is approved for 12 contact hours (1.2 CEUs) of continuing pharmacy education credit (UAN 0202-9999-17-160-H06-P). The live training seminar is approved for 8 contact hours (0.8 CEU) of continuing pharmacy education credit (UAN 0202-9999-17-161-L06-P). 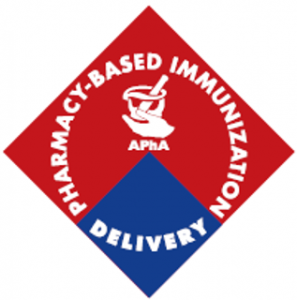 Pharmacy-Based Immunization Delivery: A Certificate Training Program for Pharmacists was developed by the American Pharmacists Association. The fee to cancel is $150. 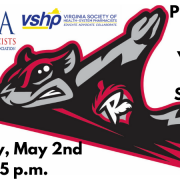 VPhA must receive your cancellation notice in writing at least two weeks prior to the live program offering. After that, there will be no refunds granted. Registration fees cannot be re-allocated to future offerings of this certification program due to the multiple steps involved with processing CE credits.